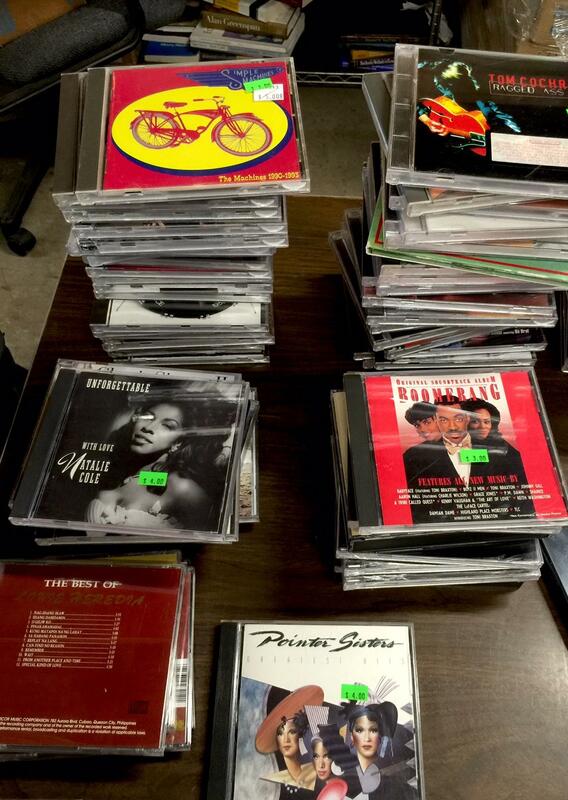 CD's and vinyl are the stars at this weekend's Friends of the Library of Hawai'i Book and Music Sale. 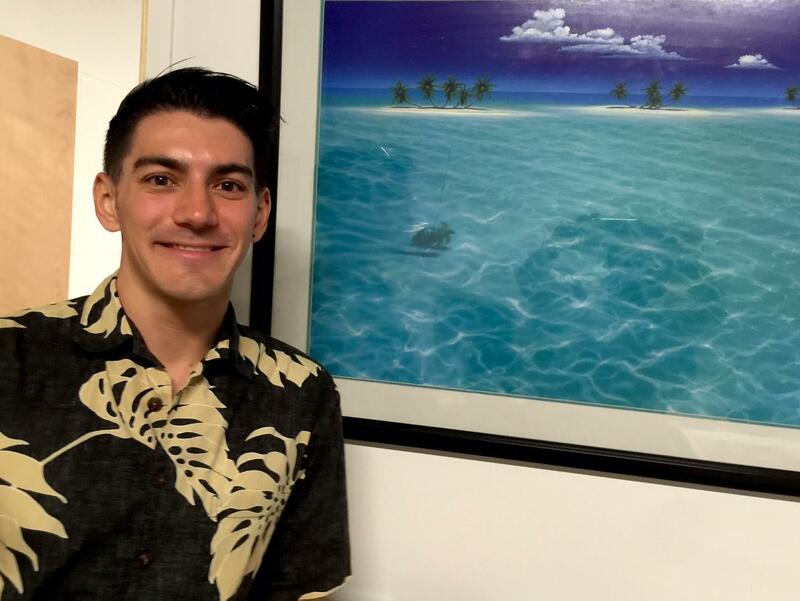 Nainoa Mau, Executive Director of the Friends of the Library of Hawai'i, with one of the many artworks that are part of the FLH's Summer Book Sale at McKinley High School. 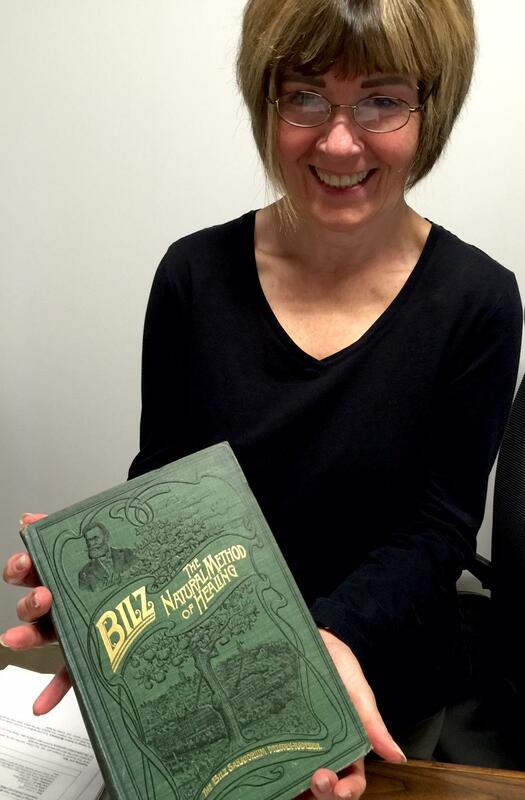 Isabel Figel, FLH Program Director, with Bilz' Natural Method of Healing, a donated book published in the late 1800's, which is attracting buyers online. Book donations are always welcome and special books are carefully vetted and made available to global buyers. Libraries across the country are undergoing a sea change in public perception. In their 2015 report, the American Library Association charted a 20.7% increase in library usage over the last decade. That’s because libraries are becoming much more than a resource for books, HPR’s Noe Tanigawa reports they are increasingly technology and community hubs. The Friends of the Library of Hawai‘i Book and Music Sale, featuring the FLH music collections, is set for the Martin Luther King Jr. holiday weekend at Washington Middle School. 9-3 Saturday and Sunday, 9-1 on Monday. A conversation about what libraries are doing to boost business--there are a lot of new ideas out there! Hawai‘i’s state library system is 16th in the US based on size and usage. Nainoa Mau, Executive Director of the Friends of the Library of Hawai‘i, FLH, says there are almost a million library card holders in the state! Online offerings could surprise you: CQ Weekly offers non partisan coverage of virtually every act of Congress with the largest news team on Capitol Hill; Gale Virtual Reference library is a data base of encyclopedias, almanacs and specialized reference services; Mango Languages will teach you Hawaiian, Tagalog, Hindi, Arabic and much more. You can even take photography classes. There are over 30 thousand e-books, you can download as well. Mau says Hawai‘i’s library system., with 50 branches and the new Nanakuli library under construction, plus a couple more planned, is doing well with the resources it has. Libraries, however, Mau says, are consistently underfunded and the state pays salaries only. New books in the collection are funded by fines and media rentals. Friends of the Library and donors to individual libraries fund book acquisition as well as any library programs. Programs like Makana Akamai--- FLH program director Isabel Figel says with Makana Akamai donors can fund particularly needed books and are acknowledged by a book plate inside their donation. Meanwhile Kailua, Kāne‘ohe, Hawai‘i kai and Kaimukī libraries have sprouted bookstores! Mau says he’d like to see more of them, and is looking into the possibility of cafes as well. Mau says libraries are experimenting with co-working spaces, business centers, even maker spaces to serve community needs. This month, FLH and Governor Ige are honoring Representative Cindy Evans with their Legislator of the Year award because of her pioneering support for a library in Waikoloa on Hawai'i island. She worked with community members who have paved the way for a new library in their neighborhood. This weekend, is the only time of year FLH opens its music collections for sale. There will be books, comics, yes, but over 10 thousand vinyl records, 5 thousand CD’s, plus DVD’s. Veteran volunteer Toni Borreliz says people come looking for specific things, and find them, often. Or, they come with just an inkling of the kind of music they like, and volunteers can help them to the right areas. Largely, these volunteers are friendly and knowledgeable, so it’s fun to engage them. Classical music lovers, this is a gold mine. Hawaiian and jazz are also well represented. Volunteer Dennis Chun, formerly of Hungry Ear, says there is also the greatest collection of banjo and railroad audio in the state. Best of all, your money will go toward the libraries of Hawai‘i. Log on to the Hawai‘i State Public Library System, you'll be surprised at what you'll find! Find out more about the upcoming music and book sale and about the Friends of the Library of Hawai‘i. Every year, Art at the Capitol is a night of camaraderie that revolves around works of art owned by the people of Hawai‘i. This year, legislators will open their offices and celebrate the state capitol building itself. 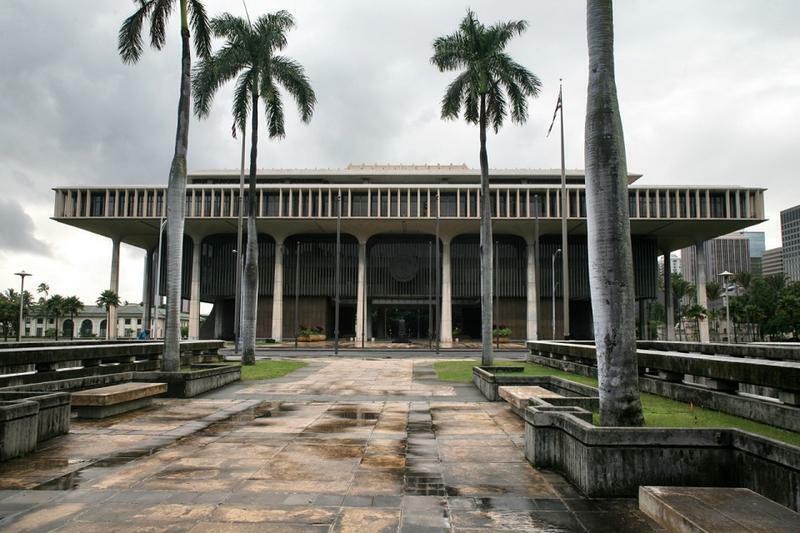 HPR’s Noe Tanigawa discovered the capitol is a distinctive expression of Hawai‘i’s attributes and aspirations.